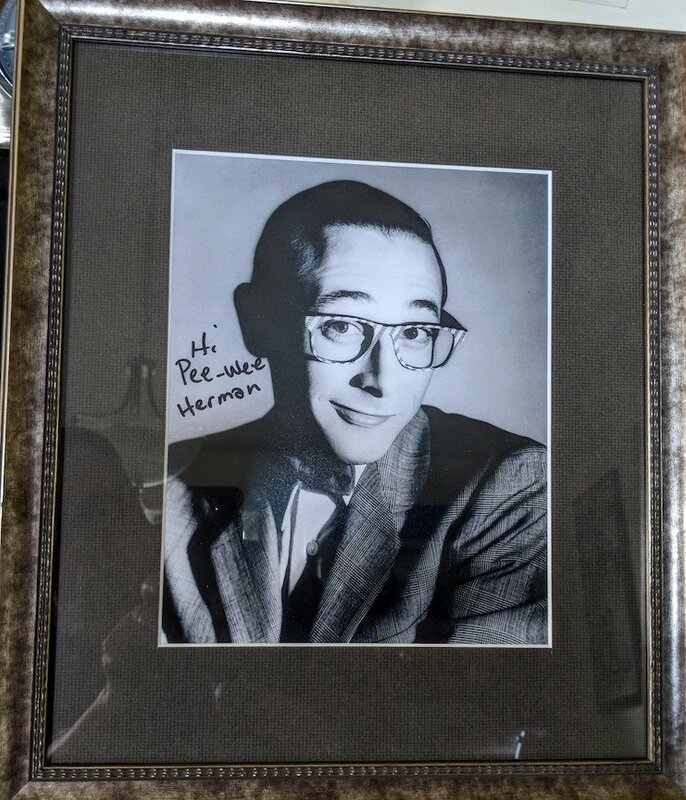 Pseudonym Pee-Wee Herman. American actor, writer, film producer, game show host, and comedian, best known for his character Pee-Wee Herman. Reubens joined the Los Angeles troupe The Groundlings in the 1970s and started his career as an improvisational comedian and stage actor. In 1982, Reubens put up a show about a character he had been developing for years. The show was called The Pee-wee Herman Show and it ran for five sold-out months with HBO producing a successful special about it. Pee-wee became an instant cult figure and for the next decade, Reubens would be completely committed to his character, doing all of his public appearances and interviews as Pee-wee. In 1985 Pee-wee’s Big Adventure, directed by the then-unknown Tim Burton, was a financial and critical success, and soon developed into a cult film. Big Top Pee-wee, 1988’s sequel, was less successful than its predecessor. Between 1986 and 1990, Reubens starred as Pee-wee in the CBS Saturday-morning children’s program Pee-wee’s Playhouse. SP – Signed Photograph: 9″x12″ black and white litho print reprint image of an original photograph by Herb Ritts. 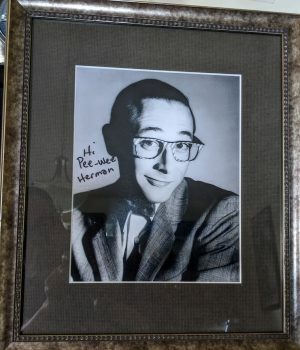 Simply signed in black marker pen “Hi, Pee-Wee Herman.” Professionally matted in grey tones, museum glass, and a pewter-bronze motif wood frame.